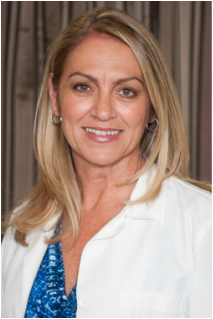 She is well known for her excellence in patient care and personal approach to each patient. Doctorate of Optometry degree from the University of Houston, Houston TX. Bachelor of Science, Microbiology, degree from Texas A&M University, College Station TX. Externship at Johns Hopkins Hospital in Baltimore, MD., specialized in contact lenses. Extensive experience in laser vision correction co-management. Affiliated with NVISION Eye Centers. Member of the San Diego County Optometric Association. Member of the American Optometric Association. Member of the Solana Beach Chamber of Commerce. Lifetime member of Who's Who in Optometry. In private practice at the Eye Gallery Optometry in Solana Beach since 2000. Dr. Swikard is happily married to her husband, Mike, and has two boys, Trevor and Joshua. When not in the office, she can usually be found at her boys schools volunteering or on the baseball fields, cheering them on. Elizabeth brings over fifteen years of optical experience to Eye Gallery Optometry. She is one of the best in San Diego at helping patients choose the right frames and lenses for their prescription and lifestyle. She is also our vision insurance guru and makes sure you understand all of your plan benefits. Debbie will usually be the first person you reach when you call our office to schedule an appointment. She is excellent at keeping our office organized and maintaining communication with patients, as well as making sure all your insurance information is verified before the exam. Once a patient checks in, Debbie performs the pre-tests necessary for the exam. She is an expert at taking Optos and OCT Retinal imaging for our patients.